The official Werner - Das Rennen 2018 college jacket is now available. 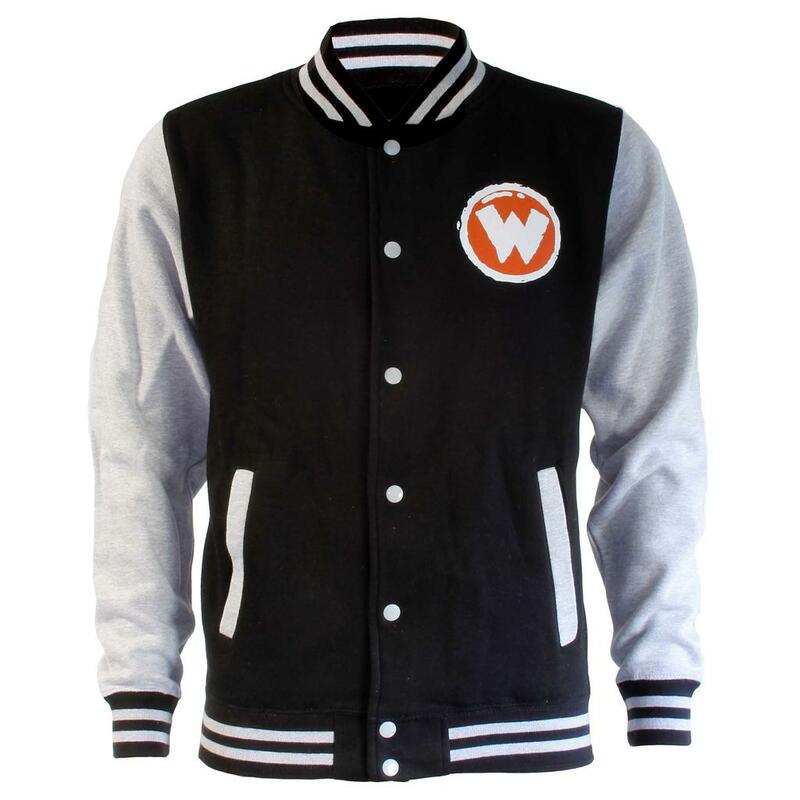 The black jacket with grey sleeves is printed on both sides: the front is decorated with the official Werner logo, the back side is printed with a "Werner - Das Rennen 2018" lettering. White press buttons and the black and white striped hem bands round out the design, moreover the jacket has two front pockets. Be prepared when it comes to the next epic battle: Red-Porsche-Killer vs. Red Porsche.